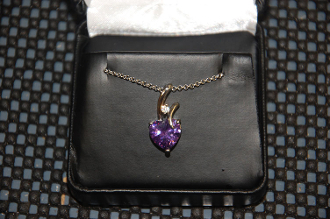 14KP White Gold Purple Heart Necklace. With CZ Diamonds (7/8" size). Designed to show the Love for the Purple Heart. Comes in a white faux leather gift box.